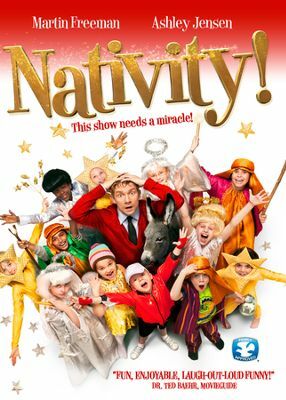 “Nativity!” — a British Christmas film released in 2009—received a number of votes from my readers, although I don’t know if many of them had actually seen it! It stars Martin Freeman (he plays Watson in the BBC’s new “Sherlock” series and Bilbo in “The Hobbit”) as Mr. Paul Maddens, a former actor turned primary school teacher tasked with producing the school’s annual Nativity play. The students of St. Bernadette’s, a Roman Catholic school, never seem to amount to much, especially when compared to upscale Oakmore where Maddens’ longtime rival, Gordon Shakespeare, teaches theater. 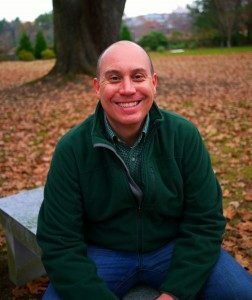 In addition to directing and writing the play, Maddens receives the gift of a new aide, a Mr. Poppy who is more child than adult (and will either entertain you or drive you batty). As Poppy and Maddens go off to buy a Christmas tree for their production, they run in to Shakespeare. As they interact, Maddens lies to his nemesis telling him that their one-time friend (and Maddens’ ex-girlfriend) Jennifer Lore, now a Hollywood executive producer, will be coming to see and film the production. Poppy believes him, and tells the head teacher (his aunt). And the lie grows and grows before Paul can put a stop to it. Media coverage follows, a celebration with the Mayor and much more. Kids pull out all the stops in order to get a part so they can make it to Hollywood. In the background through flashbacks, we learn more about Paul’s relationship with Jennifer. They shared a special joy for Christmas. We see scenes of them frolicking in the snow, enjoying each other’s company. They even name their dog “Cracker” in honor of the British Christmas traditional firecrackers. Through these scenes we realize he still loves her. And this is really a romantic comedy in disguise. The production — and yes, you do get to see it at the end and it’s fabulous — tells the story of Mary and Joseph falling in love too with some really catchy tunes. If you can find it—and you can rent it at Amazon—you really should see it! A very good Christmas film that will bring you joy and warm your heart.